Kalista is a stunning figure with a lovely forehand. She has an appealing trot with good front leg action, balance and nice contact under the saddle. 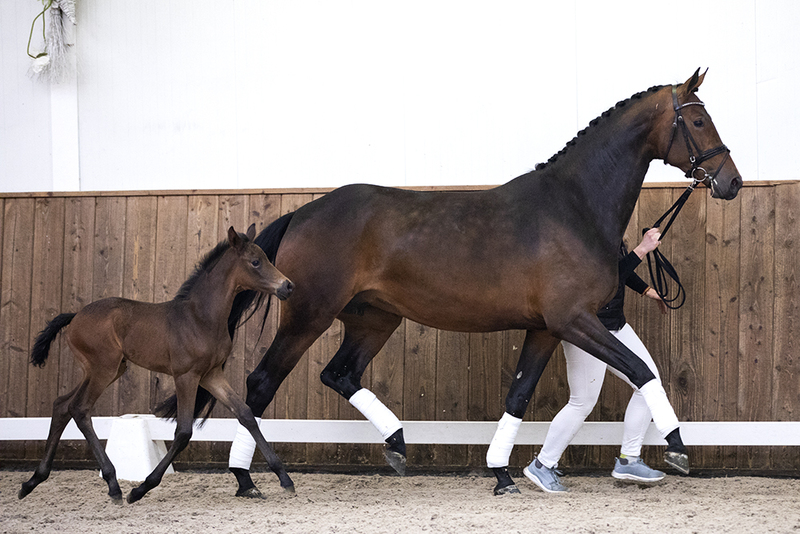 During her IBOP test under saddle, she scored eights and above after being named the national champion of the three-year-old NRPS mares last summer. 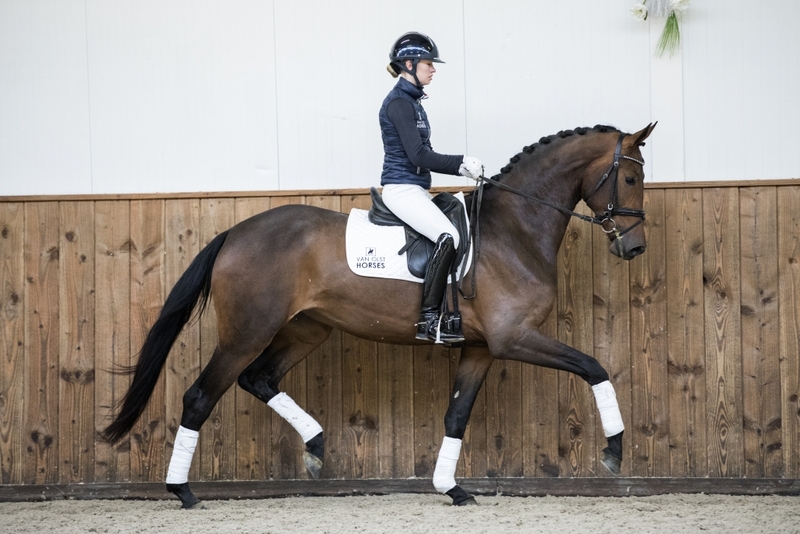 Sire Nespresso is something new in the Grand Prix arena and shows infinitely many talent. 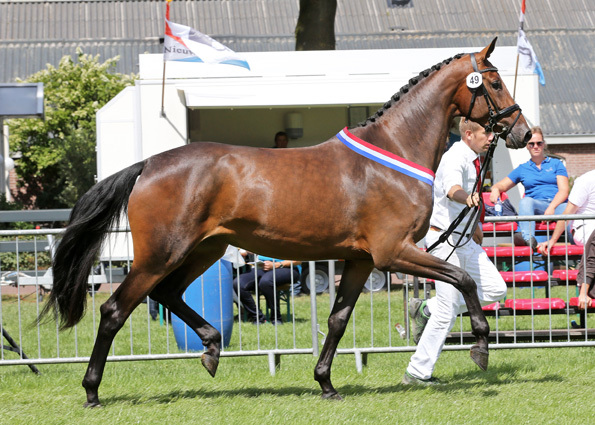 Grandsire Ronaldo, himself a son of the legendary Rubinstein, generally produces very expressive, fine-typed horses with three strong paces. Kalista’s foal is by Gladiator (by Glamourdale).